The OleumTech® Sigfox Ready SFX-LR11 and SFX-LR13 Wireless Resistive Level Transmitters are designed for deployment anywhere in the world that Sigfox has network coverage. By leveraging the Sigfox Low Power Wide Area (LPWA) network, you can take advantage of the world’s leading Internet of Things (IoT) connectivity service, offering a software-based communications solution where all the network and computing complexity is managed in the Sigfox CLOUD™. The OleumTech Sigfox wireless IoT devices take advantage of the built-in firewall since they are not directly connected to the internet and do not use Internet Protocol. Layered on top of this secure foundation, OleumTech provisions each device with a unique symmetrical authentication key. Each message sent by the node contains a cryptographic token that is computed based on this authentication key and verified by each Sigfox Base Station. 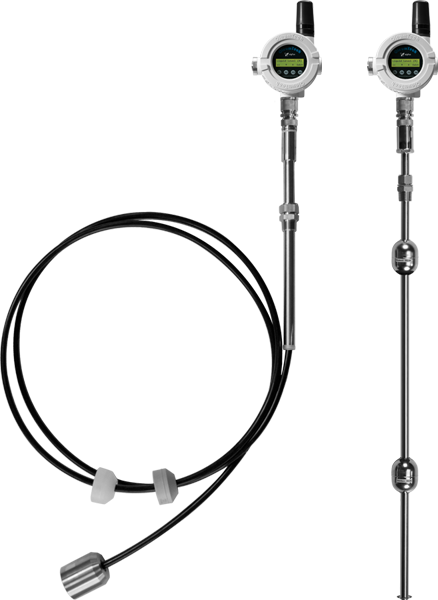 The Wireless Resistive Level Sensor Nodes are certified for use in Class I, Division 1 (Zone 0) hazardous locations. They are intrinsically safe, designed not to cause a spark, and can be serviced without being removed from a process. These wireless nodes provide the ability monitor up to three process variables: product, interface, and temperature levels. The SFX-LR11 provides 1/4” level resolution while the SFX-LR13 offers 1/2” resolution. The Sigfox architecture is based on multiple base stations receiving each broadcasted and repeated message, building redundancy into the solution. Data Integrity, availability, and confidentiality are at the core of the offering.